Are time-outs a thing of the past? 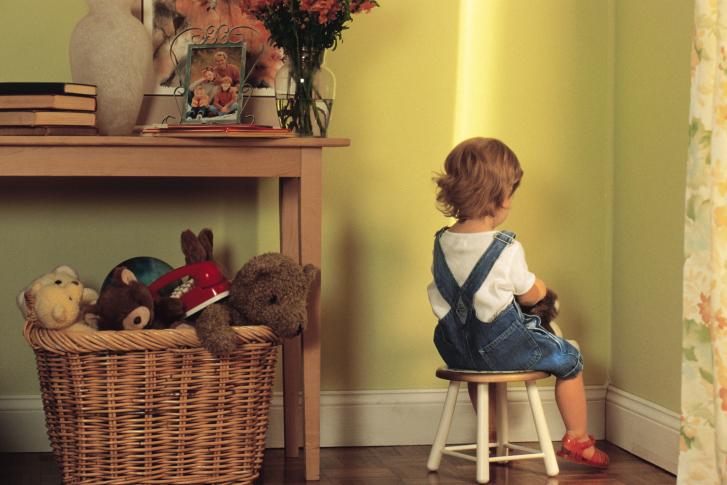 While time-outs are not as controversial as spankings, some parents still feel uncomfortable issuing them to their kids. So they're opting for a new form of punishment: time-ins. WASHINGTON — While time-outs are not as controversial as spankings, some parents still feel uncomfortable issuing them to their kids. So they’re opting for a new form of punishment: time-ins. And while children might be quick to correct their behavior after a time-out, Markham says time-outs don’t teach a lesson. “You can’t explain to them, during a meltdown, why it was wrong to throw their cup across the room or hit their little brother,” she says. On the other hand, time-ins are being hailed as a positive parenting tool. The method rejects the notion of removing your misbehaving child to face a wall or sit in a “naughty chair” for a length of time or until he calms down. Instead, a parent keeps the child near and calmly interacts with him, asking what is wrong and discussing different ways to work out a solution. Some parents think the calm, soothing time-in method rewards bad behavior, since there is no punishment. But Markham says emotions are not bad behavior. Essentially, time-ins help children learn right from wrong. The alternative approach is also thought to broker a better connection and bond between a parent and a child, since it gives a child the respect to be heard and help work out a solution. “We are starting to realize that time-ins are a great alternative,” Markham says.